Alvarado Real Estate - Find Your Perfect Home For Sale! I began my professional career after graduating with a BBA in Finance from Texas Tech University. It started in the corporate world concentrating on finance and strategy, then to owning and running two online businesses where my entrepreneurial spirt grew. That spirit, and my love for real estate, has been an ideal combination for my business as a REALTOR®. My experience has taught me that my clients come first. Exceeding their expectations creates a trust and loyalty that are paramount in this business. I am able to leverage my experience as an entrepreneur, trusted advisor, and REALTOR® to help families achieve their real estate goals. As a resident of the Dallas / Fort Worth metroplex for over twenty years, my knowledge of the area and the unique nuances of the different parts of town help clients make smart real estate decisions. I have built a team of experts that are here to help with every step of the home buying and selling process, and then beyond into home ownership. My relationship with my clients does not start and stop with the real estate transaction, but it continues long after my clients have closed on their homes. 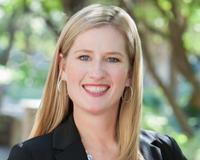 "Kelley Stubbs is a very professional and hard working agent. We enjoyed working with her. She goes the extra mile for you. I will list our next house with her and use her on our next purchase also. She currently has a listing of someone we referred to her."